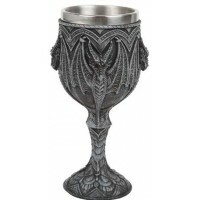 Toast your Renaissance or gothic feast with this amazing double winged dragon wine glass with removable stainless steel cup. 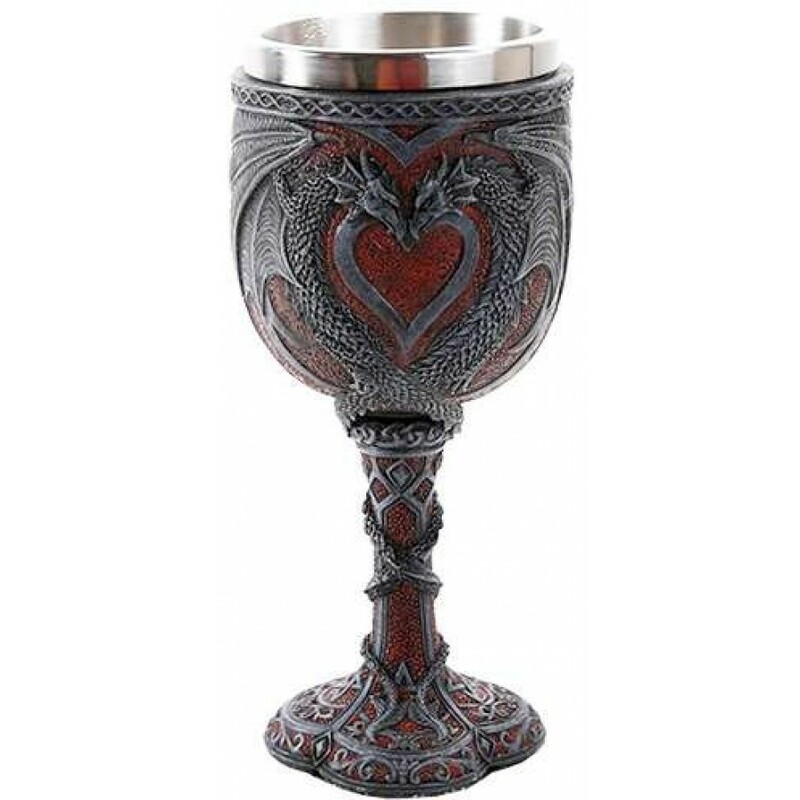 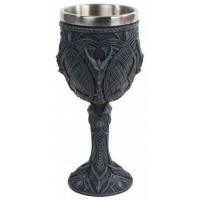 Red an gray stone look cold cast resin wine goblet has amazing detail with lots of Celtic knotworks and Dragon Hearts on front and back.. 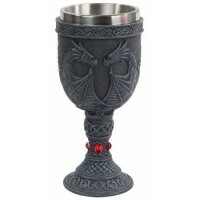 The stainless steel cup is removable for easy cleaning and sanitizing. 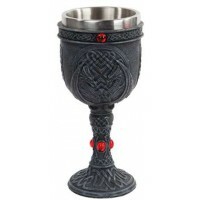 Perfect for Gothic table settings or Renaissance Faires. 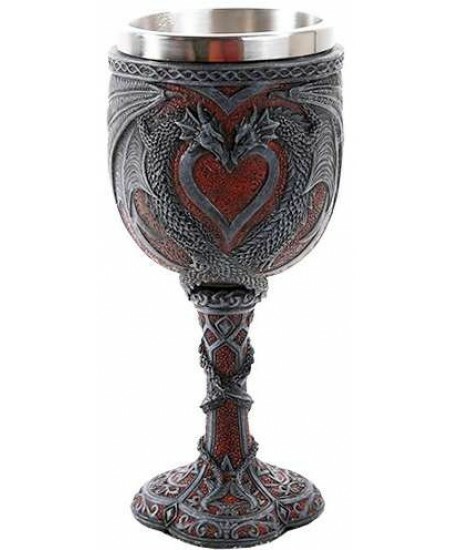 Measures 3 x 3 x 6 3/4 inches. Item Number: PT-11557 | Approximate Size (Inches): 3.00 wide x 3.00 deep x 6.75 high | Approximate Shipping Weight: 1.00 lbs.